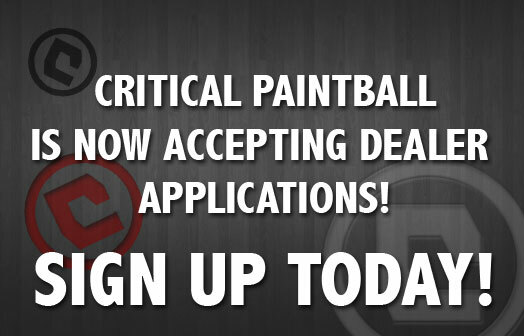 Critical Paintball is now accepting dealer applications. If you have any questions regarding dealer pricing, applications or any of our Critical Paintball products, please feel free to contact us at edwind@criticalpaintball.com. To apply to become a dealer please complete all questions.